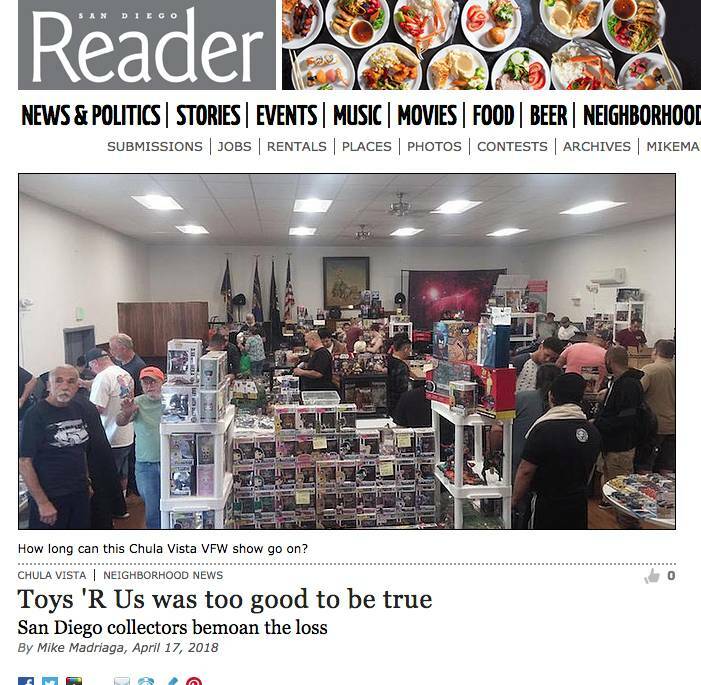 When Toys ‘R’ Us announced that they were closing 800 of their U.S. stores, a handful of San Diego grown-ups that hang out at the Chula Vista VFW, were bummed-out. 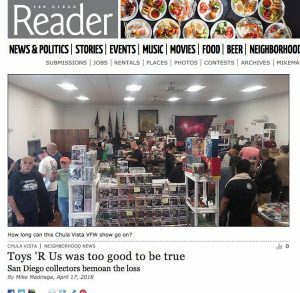 On April 15, John was one of 25 toy-vendors that sold at the San Diego VFW (Veterans of Foreign Wars) Toy Show on the corner of I Street and 3rd Avenue in Chula Vista. 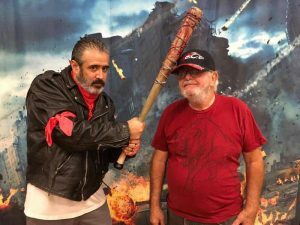 Comic books, records, DVDs and collectibles were bought, sold and traded here, between 9 a.m. to 1:45 p.m.
Sinclair is the founder of the VFW toy show. He’s been collecting piggy banks and toys since he returned from Vietnam in the early 1970s. About three weeks ago, Sinclair purchased a Johnny Lightning car at the Toys ‘R’ Us on Morena Boulevard by Sea World Drive. 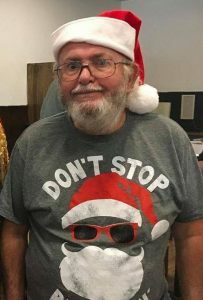 Don Sinclair, founder of the VFW toy show, has been collecting toys since he returned from Vietnam. “This devalued the item about 30 percent,” John said. 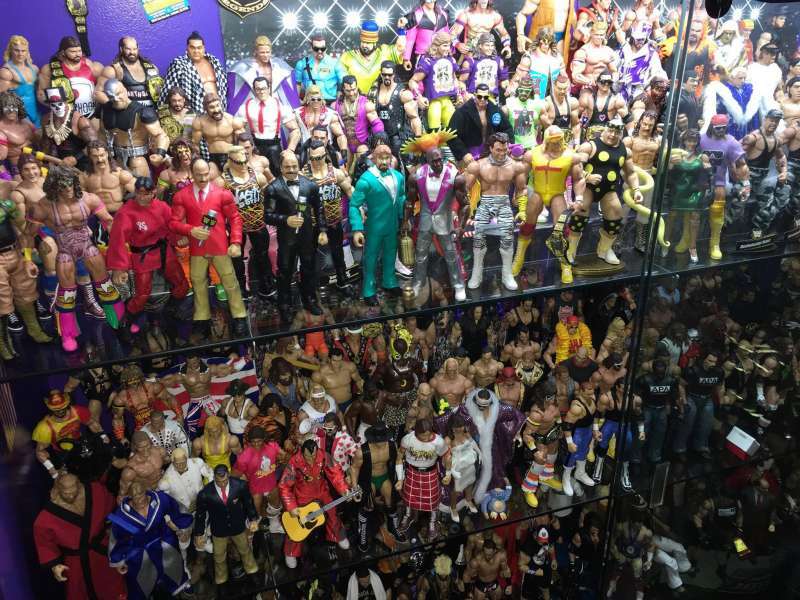 Collectors like to keep their toys in the original box or plastic wrapping. Once the toy is opened, the price can drop more than 75 percent, especially if it’s on a blister card and bubble, like a Hot Wheels car. “Damaged or scribbled markings on the package affect the value by about 15 percent,” said a women dealer that was selling Funko Pop dolls. 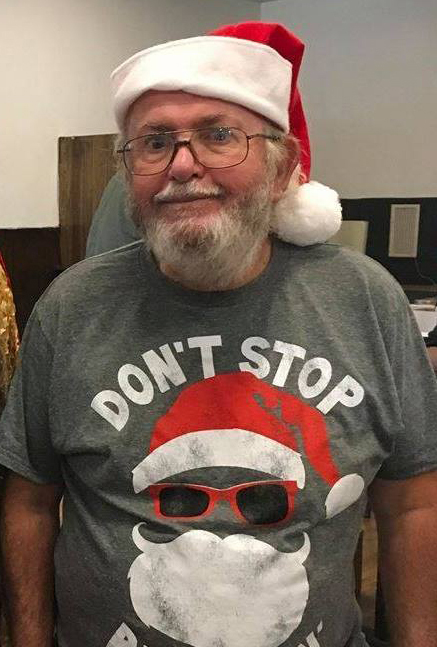 Richard H. was selling Lego sets. 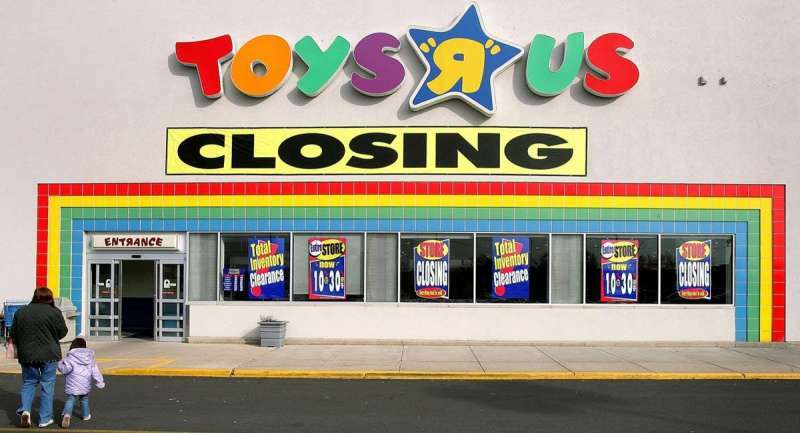 “It’s Toys ‘R’ Us’s store policy, so they destroy the bar code and no one can take it back anywhere, because it’s happened before at other stores,” he said. On eBay, some of the Lego mini figures sell for up to $3,000 apiece. 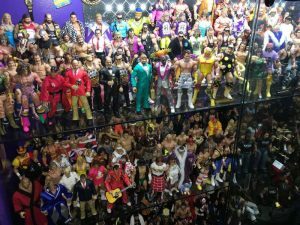 When Sinclair first started his toy show in early 2016, they had seven patrons walk into the doors. Sinclair advertised his toy show via flyers left at Starbucks, business cards taped on laundromat walls, and word of mouth. The walk-in traffic tripled. John created a Facebook page for the show, and George, another vendor, created their Instagram account. The walk-in numbers at this recent show, reached about 125. In July, 2017, certain Funko Pop dolls that originally retailed for about $15, were sold for thousands of dollars. Many of the dealers here were reselling some of the items that they just scored at the Toys ‘R’ Us liquidation sale, but were not willing to reveal what it was that they found. 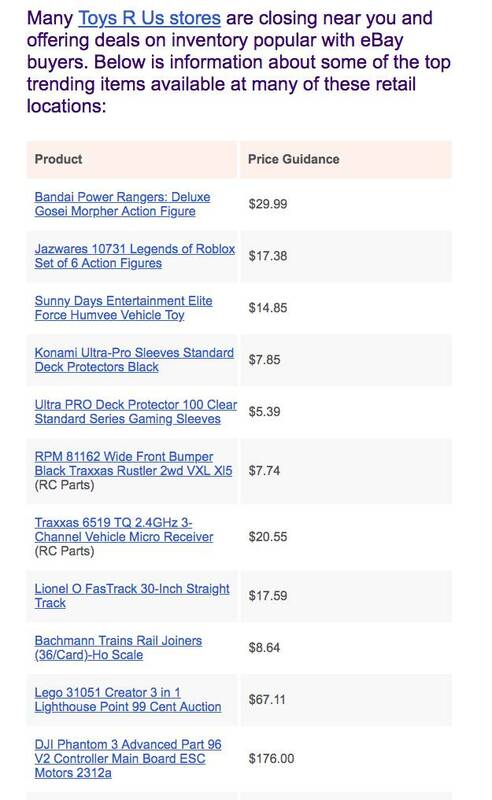 On April 5, eBay released a list of items that can be purchased at Toys ‘R’ Us, and flipped onto the auction website/app for a profit. On that list were select Funko Pop dolls, Lego sets, DJI drone accessories, Cards Against Humanity games, baby items. © Mike Madriaga 2005-2019 All Rights Reserved No part of this website or any of its contents may be reproduced, copied, modified or adapted, without the prior written consent of the author, unless otherwise indicated for stand-alone materials.